Villarreal and Zenit face at Estadio de la Cerámica, in a 2nd leg match for the UEFA Europa League (8th Finals), after the (1‑3) away win by Villarreal in the 1st leg match. Zenit registers significant differences between home and away results, so special attention is due to the home/away factor. The home team comes to this 2nd leg match with an advantage of 2 goals, after the (1‑3) away win in the 1st leg. This is a team that usually maintains its competitive level in home and away matches, since in the last 30 matches they register 3 wins, 7 draws and 5 losses in away matches, with 15 goals scored and 20 conceded; against 5 wins, 7 draws and 3 losses at their stadium, with 34 goals scored and 18 conceded. They come to this match after a away win against Levante by (0‑2). Villarreal registers 2 wins and 2 draws in the last 4 home matches for the UEFA Europa League. They haven’t lost any of the last 9 matches for this competition. Their offense has scored consistently, as they have scored goals in 7 of the last 9 matches for this competition. 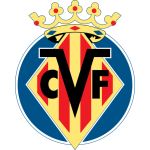 Villarreal comes for this match with a 0-2 victory in the move to the Levante field in the game to count for the Spanish championship. In the first leg against Zenit, Villarreal got a big triunf by 1-3. In this game in front of its fans, the coach Javier Calleja must keep the 3-5-2 being Iborra and Cazorla the great responsible for organizing and creating the offensive process. On the other hand, the striker Toko Ekambi is the team's best scorer in the official competition with 12 consecutive goals. For this match the coach can not count on Manu Trigueros and Bonera, both injured. Confirmed Lineup: Andrés Fernández, Álvaro González, Mario Gaspar, Víctor Ruíz, Jaume Costa, Ramiro Funes Mori, Vicente Iborra, S. Cáseres, Pablo Fornals, Gerard Moreno, C. Bacca. After the home loss in the 1st leg, the away team comes to this 2nd leg with a disadvantage of 2 goals and the hard task of having to come back from a negative result in an away match. This is a team that usually makes good use of the home advantage, stronger with the help of its supporters, since in the last 30 matches they register 6 wins, 2 draws and 7 losses in away matches, with 21 goals scored and 18 conceded; against 10 wins, 1 draw and 4 losses at their stadium, with 24 goals scored and 19 conceded. In their last match, for the Premier League, they got a home win against Ufa by (2‑1). 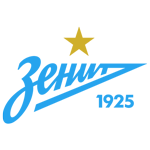 In the last 6 UEFA Europa League away matches Zenit has a record of 2 draws and 4 losses. In this competition, they haven’t won any of the last 6 away matches. Defensive consistency hasn’t been their best feature, as they have conceded goals in 8 of the last 10 matches, but their offense has scored consistently, as they have scored goals in 8 of the last 10 matches for this competition. In 13 matches for this competition, they have conceded the first goal 7 times and have only turned the score around in 2. Zenit St Petersburg comes for this match with a 2-1 win against Ufa in the Russian league: the team's goals were signed by Rigoni and Azmoun. We remember that the visitors need to win to advance in this competition. Even so, the coach Sergey Semak should opt for a more defensive strategy, exploring only the space on the opponent's back. The forward Artem Dzyuba is the highlight of the visiting team with 10 goals scored. There are no weight absences for this match. Confirmed Lineup: A. Lunev, B. Ivanović, I. Smolnikov, E. Mammana, Y. Rakitskiy, O. Shatov, Hernani, W. Barrios, M. Ozdoev, S. Azmoun, S. Driussi. Looking at the two teams in detail we can see that Villarreal is more organized in different moment of game, that is, it is anticipated that dominates and holds the best chances to score. On the other hand, Zenit St Petersburg plays out of doors, apart from the fact of presenting a negative income in this condition. Given this and taking into account these factors, risking in the Spanish in this game is a good option.